Amazing opportunity to live in a neighborhood surrounded by nature! Many updates! Enjoy walking, jogging, biking along the lake right outside your door! 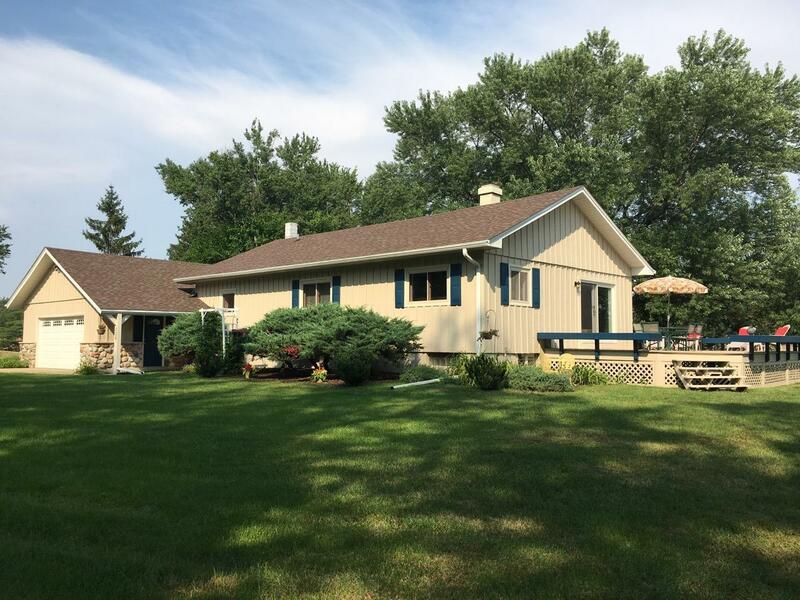 Beautiful lot on golf course with views of Lac La Belle Lake. Feel like you are on vacation! Enjoy relaxing on your large deck Great for entertaining. This 3 bedroom home has 9' ceilings throughout, custom kitchen cabinets, higher end appliances, 5'' custom baseboards, maple floors. Newer 3 dimensional roof, gutters, aluminum soffits & fascia, overhead garage door, patio door, exterior & interior doors, upgraded electrical & lighting, newly painted exterior. Lower level is partially finished with windows. Surrounded by million $ properties! Enjoy lake living!